What's a Document Type, and why is it important? The phrase 'Document Type' describes the general type of document that you're uploading to your Complyfile. It's used as a label to help you categorise the documents you upload. 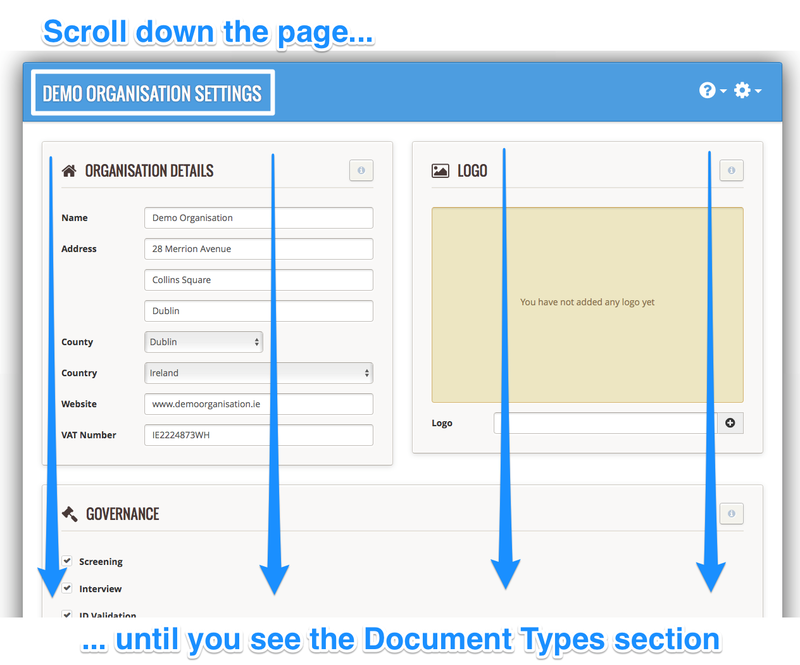 The beauty of Document Types is that it makes organising / filing / searching your documents that much easier. These documents can then be linked to in your application forms so that your applicants have a complete record of any documents that they're agreeing to abide by as part of your volunteer recruitment process. An important use of document relates to your Email Templates. As part of the customisation of your Email Templates, you can choose to automatically attach to your Email Templates, any of the organisation documents you've uploaded to your Complyfile. You do this by selecting the Document Type in your Email Template section. How do I access my organisation's list of Document Types? 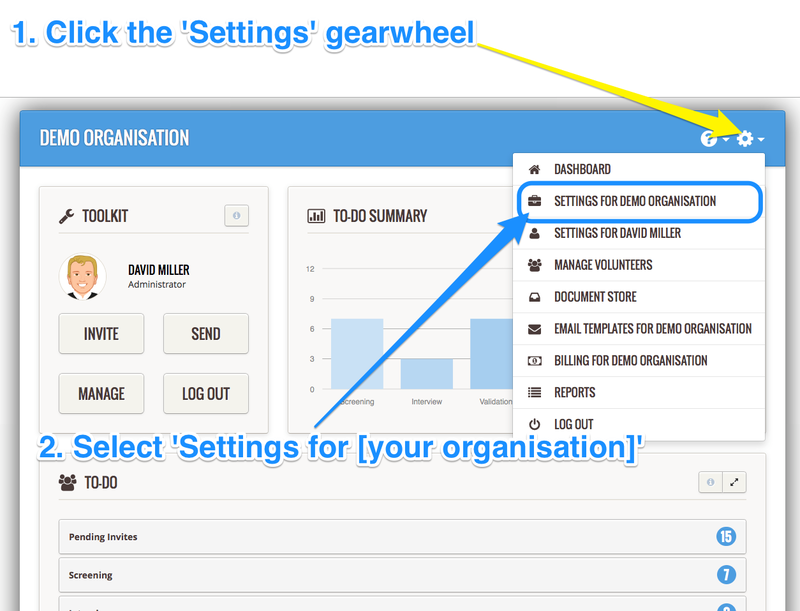 You're going to see the settings page for your organisation. Scroll down the page, till you reach the section called 'Document Types'. How do I create a new 'Document Type' for my organisation? we may have created a few to help you on your way. How do I filter my view of documents by Document Type? Let's say that your organisation has decided to implement an updated (or new) document retention policy. 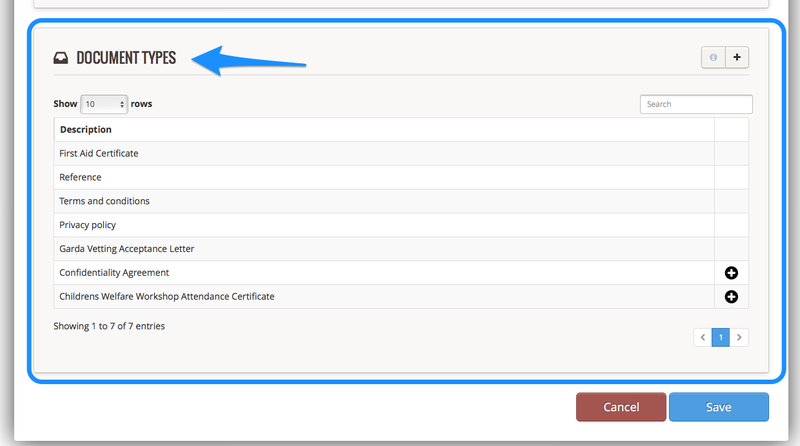 The updated policy requires you to hold on to (retain) a document for a specified period of time. There are two easy ways to handle this. Either you delete the document (once it's deleted, it's gone forever). 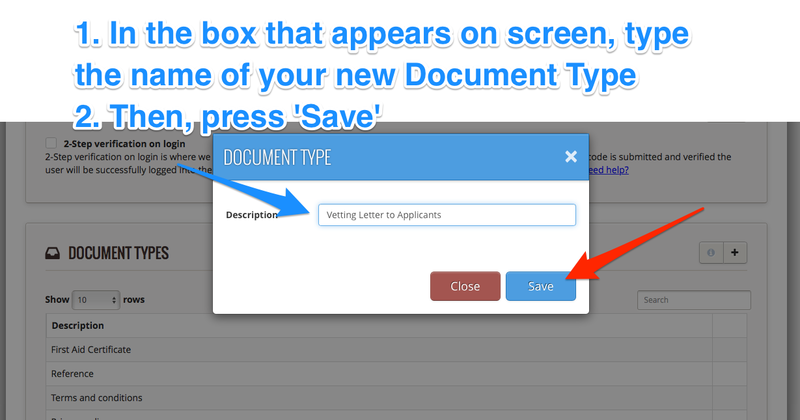 Or you decide to set an 'Expiry Date' on the document (see the help article: Set An Optional Expiry Date). 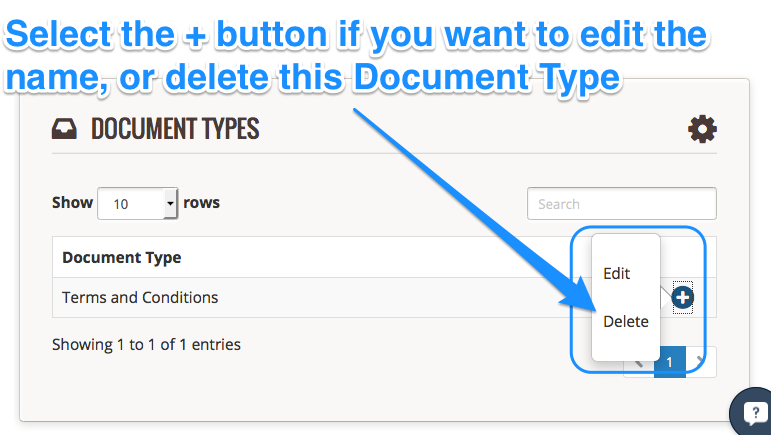 It's easy to filter the type of document you want to see in your Document Store. If instead you want to refine your search further, then do so. How do I manage my volunteers? Do you release new features often?